For many today, the European Renaissance was a rediscovery of the classical past, and that the Islamic civilisation, which was chronologically and geographically an intermediary between the Ancient World and pre-modern Europe, played a very minor role in that. At best, its role is seen as having been confined to the preservation of the classical works of the Graeco-Roman world during the Dark Ages. After other scholars who endeavoured to correct that easy-made and deeply rooted view among the general public, Jim Al-Khalili in his new book Pathfinders: The Golden Age of Arabic Science presents an informative and timely study that should do much to redress that misconception. As he shows, the scientific revolution in modern Europe in the 16th and 17th centuries had its roots in Baghdad and Cordoba. It was not "Graeco-Roman" but "Graeco-Roman-Arabic". For more than 700 years (roughly between the 8th and the 15th centuries), the world's greatest scientists were Muslims and science was written in Arabic. After having launched a massive translation movement of the works of science, medicine, philosophy, technology left by the Greek polymaths in the 9th century, the scholars of Islam, who were Arabs, Christians and Jews altogether, developed original theories in mathematics, astronomy, physics, medicine and engineering. A great amount of these theories were translated into Latin or read in Europe in Arabic, between the 12th and the 17th centuries. Despite this established fact, which is now a major result of professional history of science, until now the West's scientific narrative jumps from Aristotle, Archimedes, and Ptolemy to Copernicus and Galileo. But equally important were the Muslim figures that linked them: Jabir ibn Hayyan, Al-Khwarizmi, Ibn al-Haytham and Ibn Sina, among others. 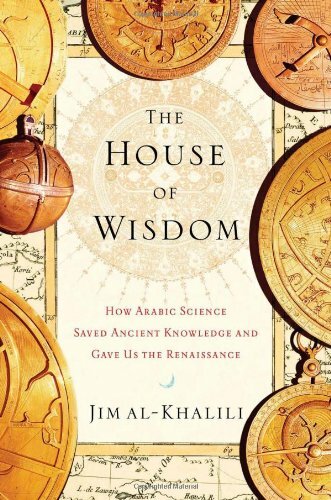 Al-Khalili takes the reader through a marvellous survey of the highlights of the period, especially the scholars associated with the Abbasid Caliph Al-Ma'mun's "House of Wisdom". One of his heroes, whom he calls poetically "pathfinders", was the chemist Jabir ibn Hayyan, known in the West under his Latinised name Geber, who developed distillation and sublimation. We have him to thank for the word alkali, which derives from the Arabic Al-qali or ashes, which is where you find potassium carbonate, an important alkali metal. As significant as his individual discoveries was his broader attempt to separate alchemy from proper observable science: the "first essential in chemistry is that you should perform practical work and conduct experiments", he wrote, at a time when relying on ancient sources was standard practice. Other Arab chemists provided us with the words alembic, amalgam, borax, camphor and elixir. Figure 2: Professor Jim Al-Khalili lecturing in the opening session of the conference 1001 Inventions: Muslim Heritage in our World organised by FSTC at the Science Museum in London on 25 May 2010. In rapid succession, we meet the mathematician Al-Khwarizmi, the philosopher Al-Kindi, the polymath Al-Biruni, the physicist Ibn al-Haytham, and figures better known by their Latinised names, Ibn Rushd (Averroes) and Ibn Sina (Avicenna). The list of their achievements ought to be general knowledge, and often overturns a "Eurocentric" notion of who discovered what and when. So Ibn al-Haytham was calculating the refraction of light 600 years before Newton; from Al-Khwarizmi's book Mukhtasar fi 'l-Jabr wa-'l-muqabala (The Compendium on Calculation by Restoration and Balancing) we get algebra; and from the medical writer Al-Razi we get the first accounts of clinical trials. Small steps could lead to giant leaps. One of the most remarkable illustrations in Al-Khalili's book is a page from Abu al-Hassan al-Uqlidisi's 10th-century treatise on Hindu arithmetic. It shows six numbers, with a dash over the third representing – for the first time – a decimal point. Previous mathematicians had described decimal fractions but Al-Uqlidisi (whose name refers to Euclid) made calculating them much easier. Other pioneers were Al-Khwarizmi (from his name is derived the term algorithm), who developed algebra and the positional system; it is in the aftermath of his achievement that the Arabic numerals were created, those that Europe later adopted; and the 13th-century genius engineer Al-Jazari who developed the earlier work of his predecessors, since Archimedes, Philon of Byzance, Heron of Alexandria, until the Banu Musa brothers, the scientists-engineers of 9th-century Baghdad. Probably the greatest Muslim scientists were the physicist Ibn al-Haytham, the father of the modern vision theory that revolutionised the field of optics, the polymath Al-Biruni, and the doctor Ibn Sina (Avicenna). Among many other scientific achievements, Al-Biruni worked out the height of mountains using ingenious geometry. He also figured out the circumference of the Earth (just under 25,000 miles) to within one per cent of its real value. Ibn Sina wrote a nine-volume treatise called Kitab al-Shifa (The Book of Healing) that Al-Khalili describes as a compendium of "arithmetic, geometry, astronomy, music and, of course, metaphysics". Al-Khalili is careful to the point of pedantry not to make grandiose claims. As a scientist, he is well aware that discoveries are, in the words of Newton, pygmies on the shoulders of giants. He does, however, make a very acute case for the idea that the scientific advances attributed to these figures is less important that the scientific method they adopted. They relied on observation and experimentation and, when their results differed from what they read in Aristotle or Ptolemy or Galen, they went with the results not the doctrine. There was a spirit of open-mindedness and rationalism, supported by philosophical theories of Al-Farabi, the Mu'tazilites, Ibn Rushd, who developed a proper philosophy of science and rationalism which predated the Enlightenment of the 18th century and 19th centuries by a millennium. However, after surveying such a glorious past, one cannot avoid the overhanging question: why Islamic science has declined to its present parlous state. (Only one per cent of all scientific papers currently originate from the Muslim world.) Was it because of the Mongol invasion that destroyed Baghdad in 1258? Or perhaps the civil wars among competing rulers that led to intellectual conservatism? What about the role of the Ottoman and European empires? Al-Khalili acknowledges these but also blames it on the difficulty of accommodating the Arabic script to a printing press, which meant that ideas could not circulate at the speed they did in Europe during the Renaissance and afterwards. 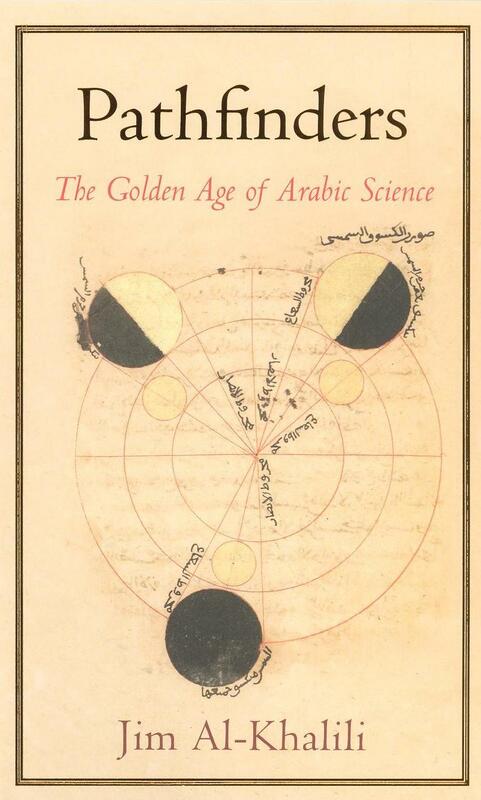 If this stimulating idea can be taken as a work hypothesis to explain the slow decline of Arabic science, it is already ironic that Arabic – which for centuries prevailed as the world's most developed scientific language in the Muslim world and outside – may have contributed to its decline. It remains, however, that if the Golden Age of Muslim science waned, it is no reason to discount the achievements of these scholars. By opening up the achievements of the Islamic Golden Age to a wider audience (in both East and West), Al-Khalili clearly hopes to inspire another. Jim Al-Khalili OBE is a theoretical physicist, author and broadcaster. He is currently Professor of Physics at the University of Surrey, where he also holds the first Surrey chair in the public engagement in science. He was awarded the Royal Society Michael Faraday Prize for science communication in 2007, elected Honorary Fellow of the British Association for the Advancement of Science and has also received the Institute of Physic's Public Awareness of Physics Award. 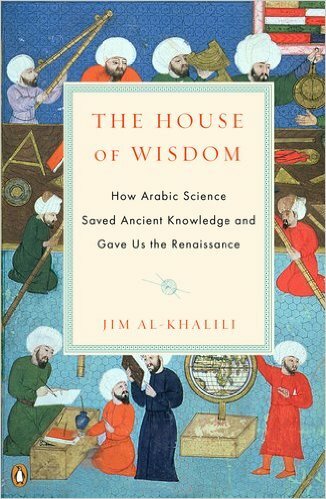 Born in Baghdad, Jim was educated in Iraq until the age of 16 and it was there, being taught by Arabic teachers in Arabic, that he first heard and learnt about the great Arab scientists and philosophers. He has long championed the influence of Islam on science and hopes to bring attention to the rich Arab heritage in our understanding of science today. 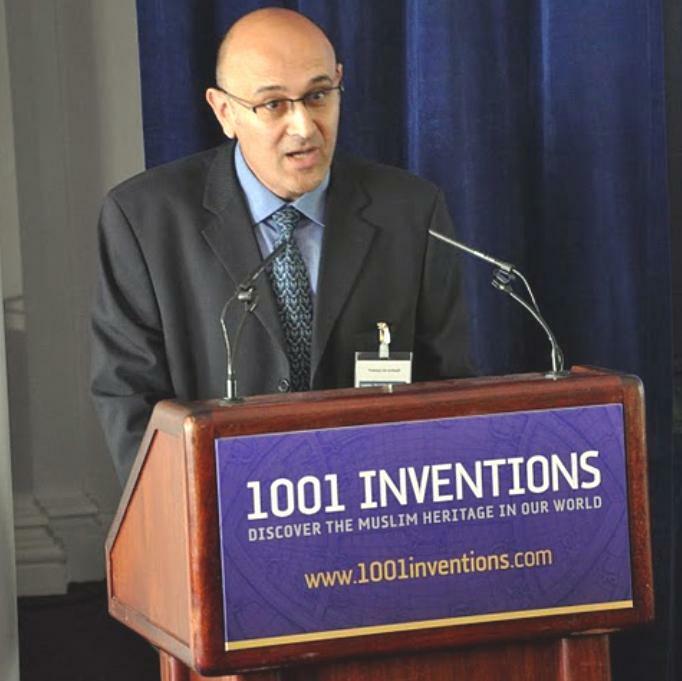 Professor Al-Khalili is Key Associate of the Foundation of Science, Technology and Civilisation (FSTC) and member of its advisory network the Muslim Heritage Awareness Group (MHAG).